I’VE just read quite the most charming and delightful book about trains that’s crossed my desk for ages. 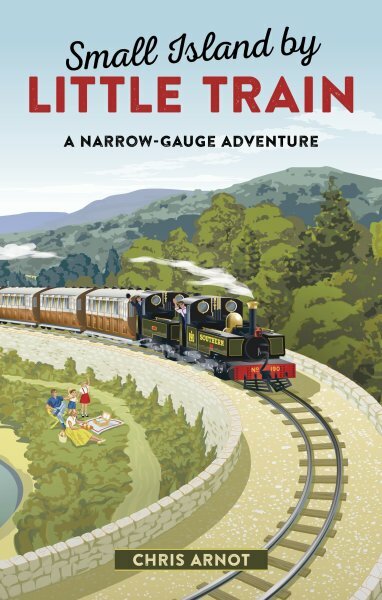 It’s a celebration of Britain’s narrow gauge railways along whose tracks author Chris Arnot has taken a highly entertaining national odyssey. These little railways, most of which are run today by preservationists, were often originally built to transport slate or sand or milk churns or other commodities where a conventional railway would have been too expensive or difficult to construct. By definition, these were often eccentric undertakings and Arnot’s book is packed with fascinating stories ­– from the miniature railway along the Kent coast, used by Home Guard military trains on World War 2 and became the school commute for dozens of schoolchildren to Britain’s only Alpine style rack and pinion railway, which transports tourists to the summit of Snowdon. Here, too, among the 16 railways he visits, is the iconic Lynton & Barnstaple railway built through the “Switzerland of England” and now coming slowly back to life and the Stratfold Barn Railway where one wealthy man indulges his passion for steam by operating a myriad of tiny engines around his back garden. And did you know that Britain’s longest heritage railway also happens to encompass the narrow gauge tracks of the Welsh Highland Railway? But what gives this book it’s charm is the gallimaufry of characters that Arnot falls into conversation with along the way – from engine drivers to preservation volunteers to tourist families on board to enjoy the ride. Here, in a kind of cross between Bill Bryson and Paul Theroux, is a portrait of enthusiasm personified, of epic feats of preservation, of local history, of idiosyncrasy ­– of a very special kind of eccentric Britishness which exudes from every page like the steam from the boiler of an ancient narrow gauge locomotive. A must read, not just for train buffs, but for anyone who relishes the sheer quirkiness of British life.